We use Trustpilot, an independent review system, to ask our customers to provide feedback on our products and services. This includes their experience of the claims process, customer service and the suitability of the product for their needs. Trustpilot is a ratings and reviews platform that provides customers with trusted, independent ratings online. Their review platform only allows for genuine customer reviews, meaning that companies utilising the Trustpilot system should not be able to manipulate the feedback of their customers. With Trustpilot, a 5 Star rating really does mean customers consider Outbacker to be a 5 Star insurer. Me and my girlfriend have used outbacker insurance last year when traveling to New Zealand. My girlfriend broke her hand and outbacker couldn't have been more helpful. 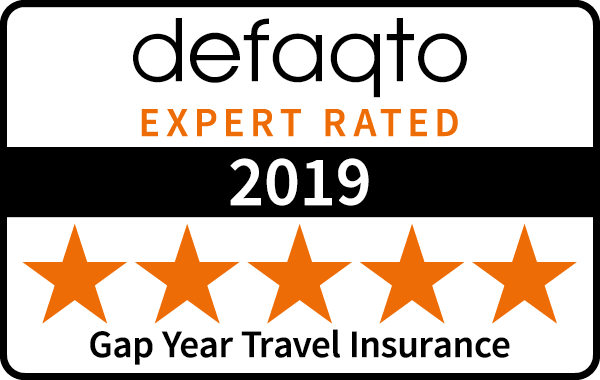 As a result of their professional, prompt and exceptional service I have now chosen to insure with them again on my travels and will be certainly recommending to all my friends doing the same. Easy to understand and tailored to a travellers needs. Reliable and helpful when claiming too. Can honestly say the staff at Outbacker were the only company who were able to listen, answer our many questions & actually confidently had the full knowledge to address our requirements. Our son hasn't been seen since- enjoying his time in South Africa! We hope not to have to use their services, but am hoping should we need to, their promise of cover/assistance will be there. Outbacker insurance is perfect, I have used outbacker insurance for very lengthy trips to Asia and Australia at a very reasonable cost twice in the last 2 years and they have been fantastic throughout, even very recently when dealing with a claim that I am in the process of making when I had to cancel my plans at very short notice to Thailand and elsewhere when an immediate family member fell very ill, i have recommended outbacker insurance to a close friend of which she has then used the company to insure her round the world trip coming up in the next few weeks, I would not hesitate to recommend outbacker insurance to anybody as there have been no faults at all. I will be using the company again for many years to come. "good insurance, that offers all the extras that I needed - winter sports cover, a return visit, cover for adventure sports and it's worldwide cover too! I also emailed a couple of queries and got a quick, helpful response." "This is the second time I have purchased backpack insurance from Outback. Quick and easy to purchase online, documents sent straight away. Never had to claim, thank goodness, but other users feedback gives me confidence that they will deal quickly with any claim." "It has taken me a while to write this review but about 6 months ago I got Dengue Fever whilst alone in Thailand and I was extremely happy with the way it was handled by Outbacker insurance. After 3 days of agony I finally went to the doctors and was sent to Koh Samui hospital by ferry and ambulance. That hospital was terrible and after one night I knew I needed to leave due to the shocking level of healthcare (or lackof) that I was receiving. I phoned Outbacker Insurance to explain the situation and they said to transfer to a local private healthcare facility and to contact them as soon as I arrive. I did so, and had to fill out a brief form. From that point they reassured me that all the medical bills were being taken care of because they were in direct communication with the hospital. They were very polite and sympathetic on the phone and I was incredibly grateful for the level of service. I was here for the following week receiving world class healthcare in one of the best hospitals in the world. I was being monitored 24hrs a day and I had my own room and ensuite bathroom and Sky TV, with nurses on hand 24/7. I received a reassuring phone call each day from outbackers asking me how everything was going and to make sure that I was getting better. I was travelling on my own in Thailand and getting Dengue Fever is a serious illness which people (and tourists) die from every year in Asia. It was a worrying and traumatic time for me and I was extremely relieved and grateful for the excellent level of service that I received. I believe the total medical bill was over 2000 pounds and I never felt any hesitation or pressure from Outbacker Insurance to cover it in full. I am still travelling and knowing that I am comprehensively covered is invaluable. I also have to mention that the price for what is covered is very competitive, and I didn't experience any hidden small print or cheeky exemptions. Highly recommended!" Outbacker Travel Insurance policies do not cover ANY pre-existing medical conditions *We exclude work involving the lifting or carrying of heavy items in excess of 25Kg, work at a higher level than two storeys or any form of work underground. Please see the policy wording for further information.